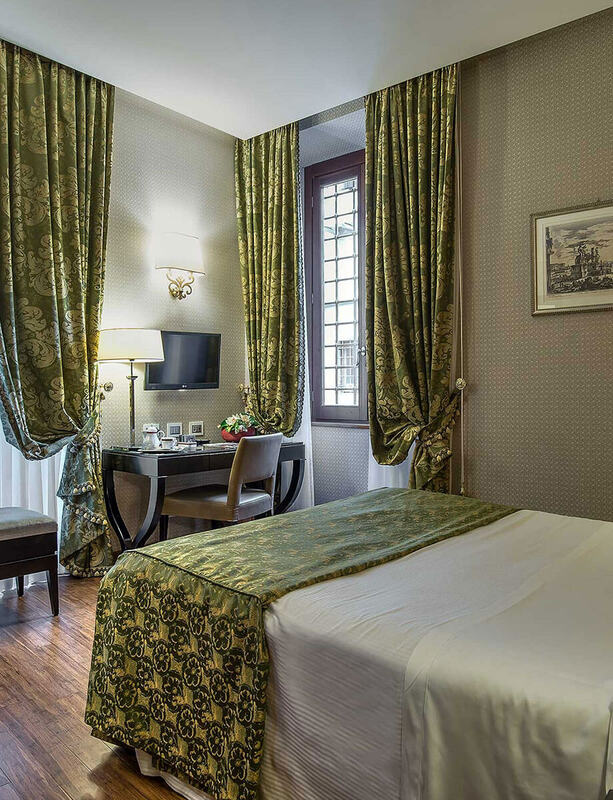 Albergo del Senato Rome provides clean and comfortable rooms all beautifully decorated and renovated with modern amenities. 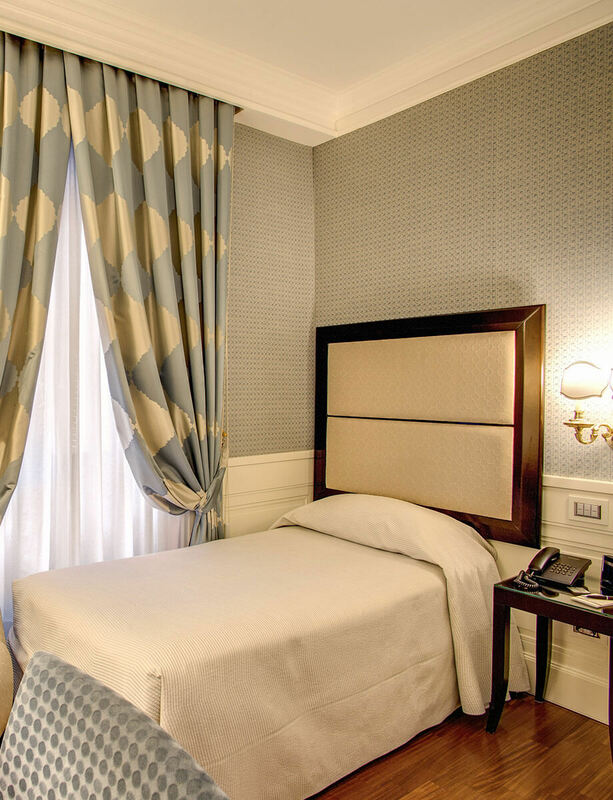 Guests enjoy soundproof rooms all of which are equipped with satellite TV, free wireless internet in the rooms and public spaces, air conditioning and telephone. 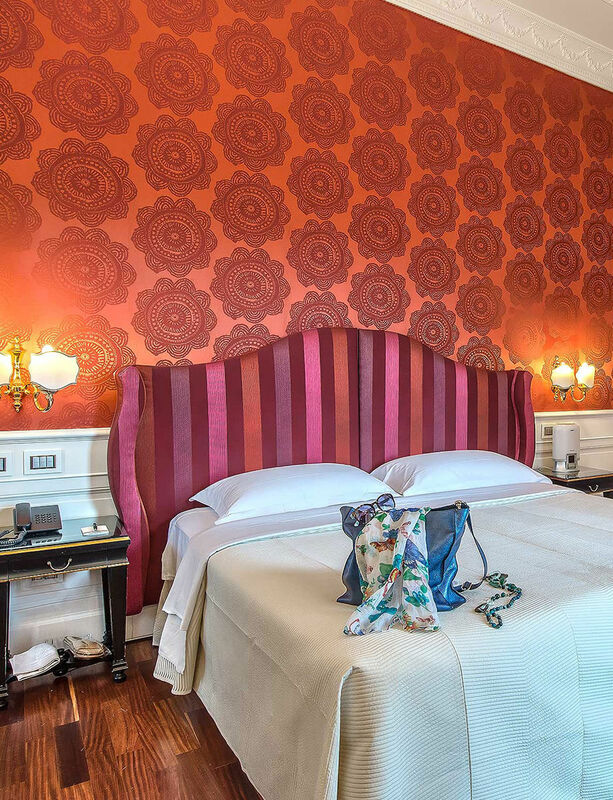 The Albergo del Senato is a stunning hotel housed in a 19th century building designed by talented Italian Architect Gaetano Koch. 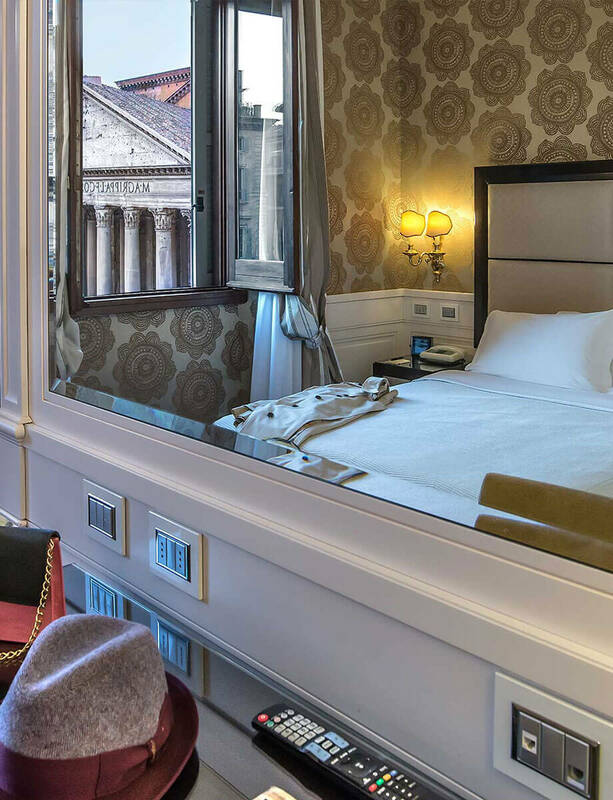 This magnificent 3 star property situated in an excellent location at Piazza della Rotonda, facing the gorgeous Pantheon monument and other historic buildings in the surrounding. 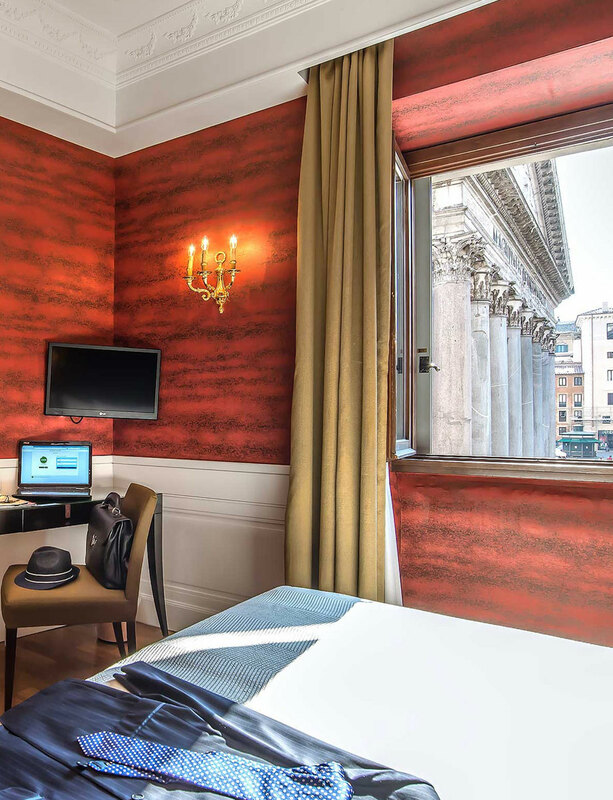 All 56 hotel rooms have been recently renovated, providing guests with the modern comforts including writing desk, sage deposit box, large private bathroom, up to date technology. 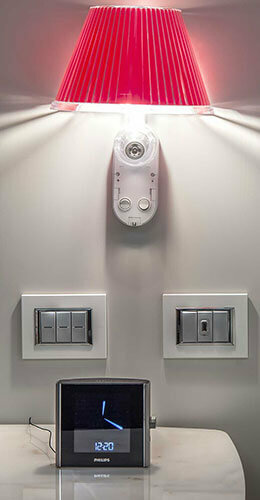 All rooms and common areas are non-smoking. 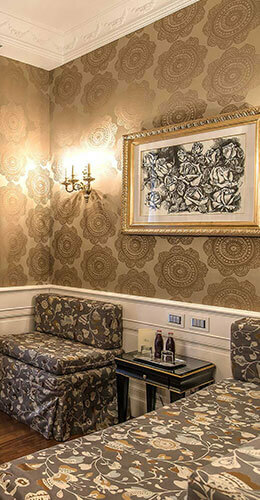 Albergo del Senato invites guests to sit down for breakfast in our elegantly decorated breakfast room. Not to be missed our exclusive roof top terrace available only for hotel guests and equipped with bar service during the summer. 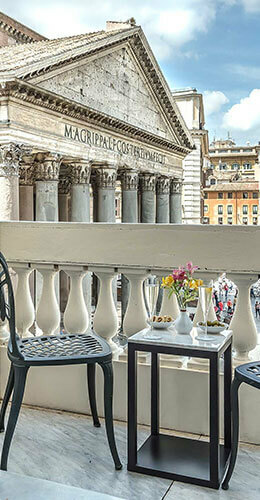 Accessible by a flight of stairs on the top floor, visitors can enjoy a panoramic view of the Pantheon while sipping on a fine Italian wine. 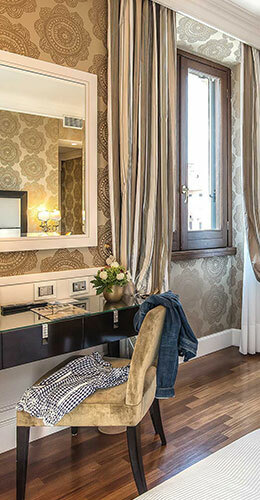 Standard Double rooms in Albergo del Senato are located on the lower floors. They are all stylishly furnished with different décors and equipped with writing table and chair, satellite television, free high speed wireless Internet connection, climate control, mini bar, tea and coffee facilities and electronic safe. Pantheon view is not guaranteed. 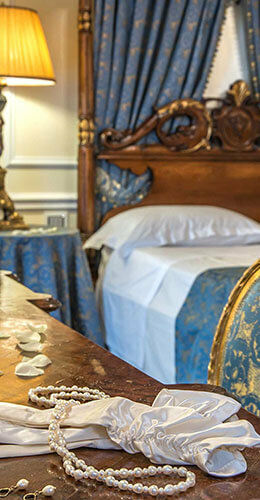 Standard Twin rooms in Albergo del Senato are located on the lower floors. They all have different décor, writing table with chair, satellite television, free high speed wireless Internet connection, climate control, mini bar, tea and coffee facilities and electronic safe. Pantheon view is not guaranteed. 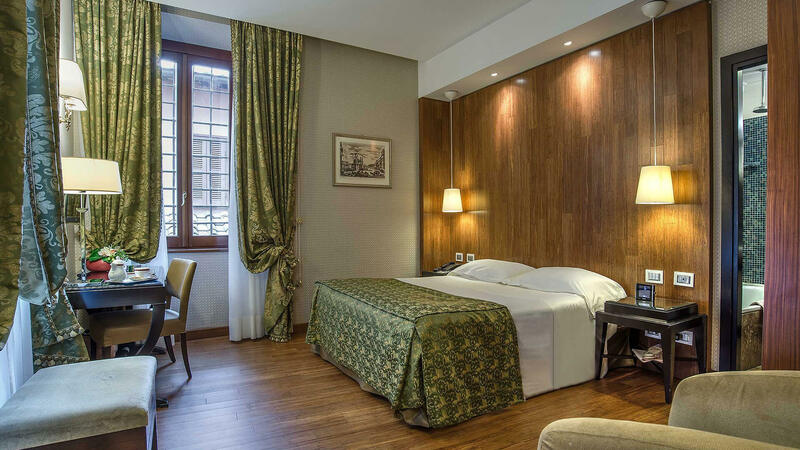 The Twin / Double room with disability access is unique in Albergo del Senato and located on the second floor close to the lift. 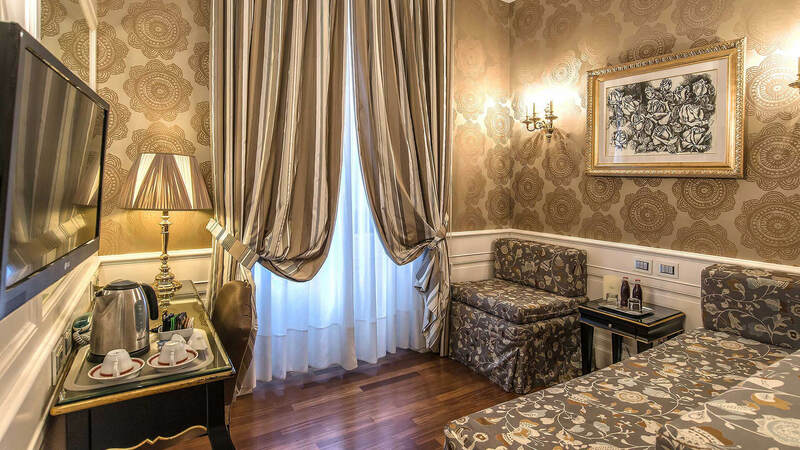 The room is stylishly furnished with elegant décor equipped with two bathrooms (one for disabled people), writing table with chair, satellite television, free high speed wireless Internet connection, climate control, mini bar, tea and coffee facilities and electronic safe. 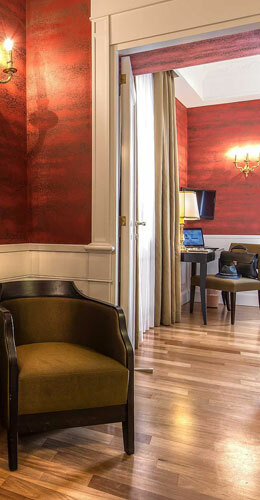 Superior Double rooms in Albergo del Senato are all with guaranteed Pantheon view. They are all stylishly furnished with different décors and equipped with writing table and chair, satellite television, free high speed wireless Internet connection, climate control, mini bar, tea and coffee facilities and electronic safe. 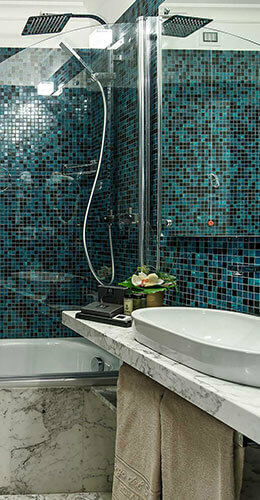 Superior Twin rooms in Albergo del Senato are all with guaranteed Pantheon view. 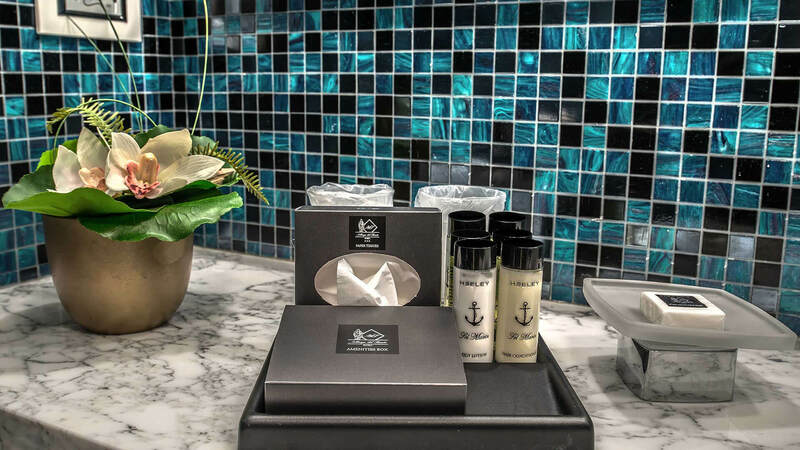 They all have different décor, writing table with chair, satellite television, free high speed wireless Internet connection, climate control, mini bar, tea and coffee facilities and electronic safe. 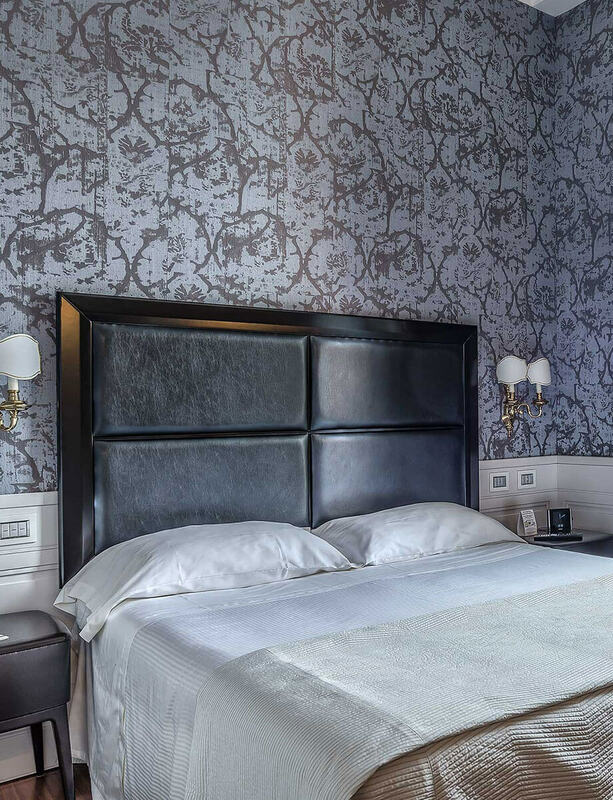 Triple rooms with a Double bed and a single sofa bed / pull up sofa bed in Albergo del Senato are located on the lower floors. 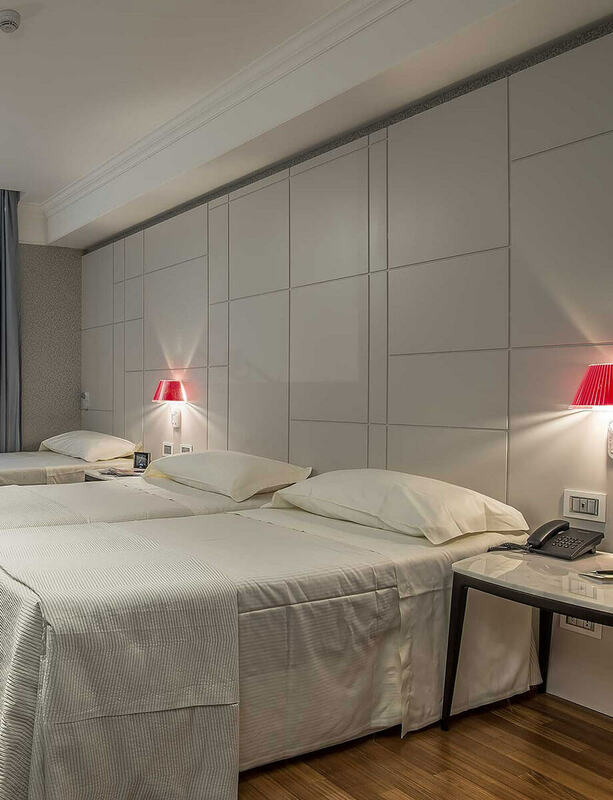 They all have different décor, writing table with chair, satellite television, free high speed wireless Internet connection, climate control, mini bar, tea and coffee facilities and electronic safe. Pantheon view not available. 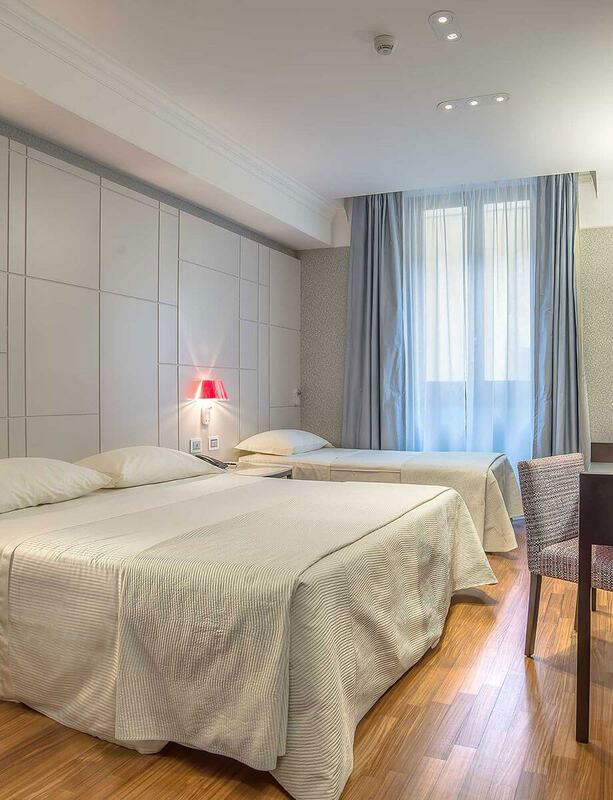 Triple rooms with two single beds and a single sofa bed / pull up sofa bed in Albergo del Senato are located on the lower floors. 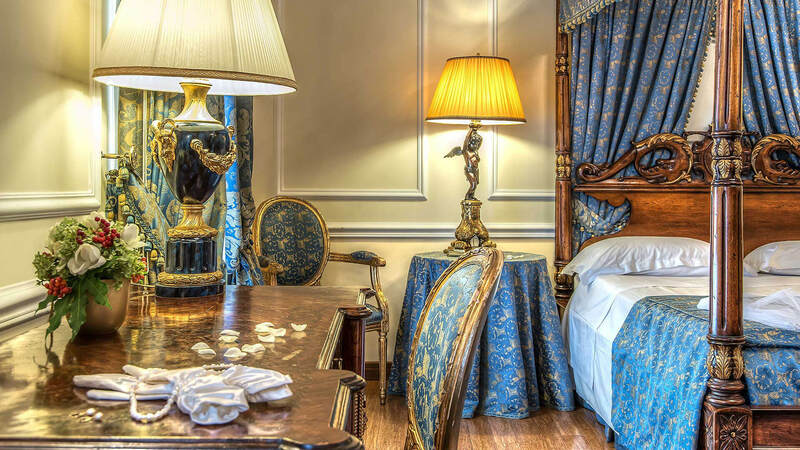 They all have different décor, writing table with chair, satellite television, free high speed wireless Internet connection, climate control, mini bar, tea and coffee facilities and electronic safe. Pantheon view not available. 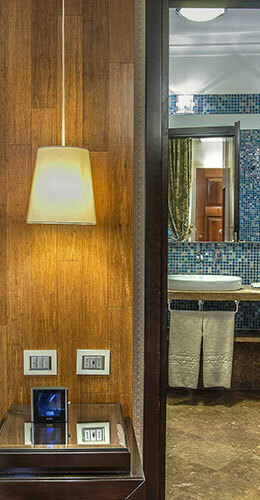 The two Penthouse Suites are located on the 6th floor and each has a small private terrace. 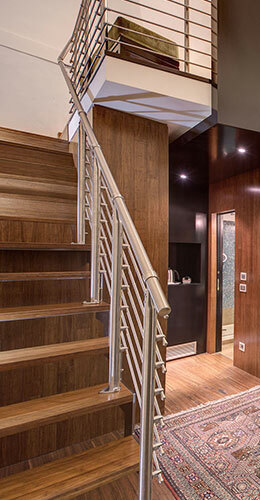 Stylishly furnished with separate sleeping and living area. 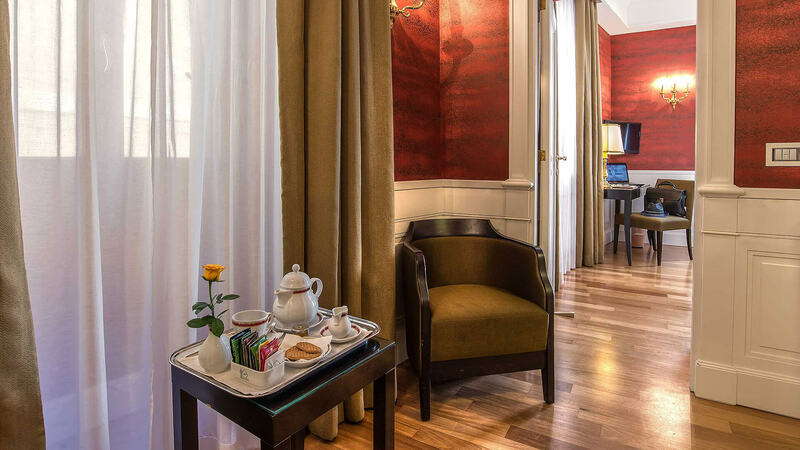 They have both red wall décor, writing table with chair, satellite television, free high speed wireless Internet connection, climate control, mini bar, tea and coffee facilities and electronic safe. 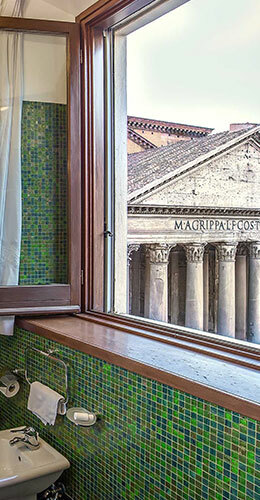 Both with a stunning Pantheon view. 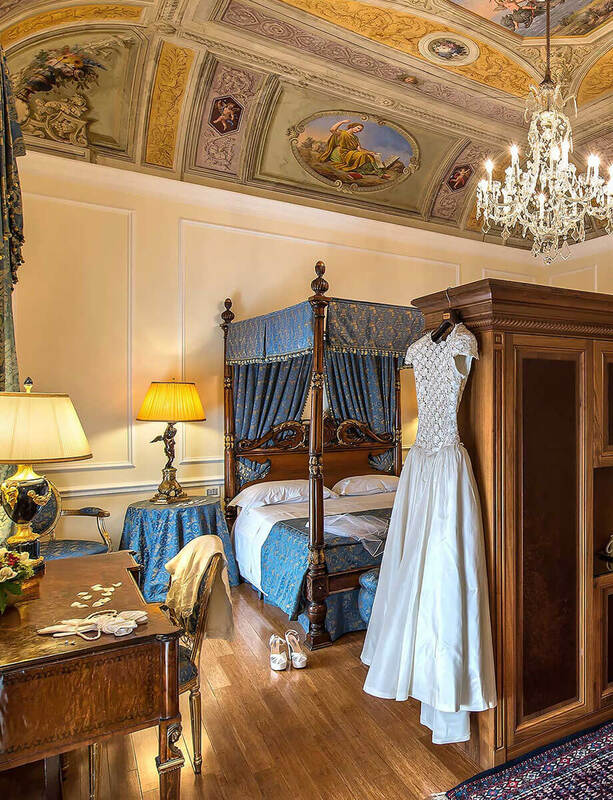 Suite Seminario is ornately decorated and contains an original Renaissance period fresco on the ceiling which was revealed during recent restauration works. 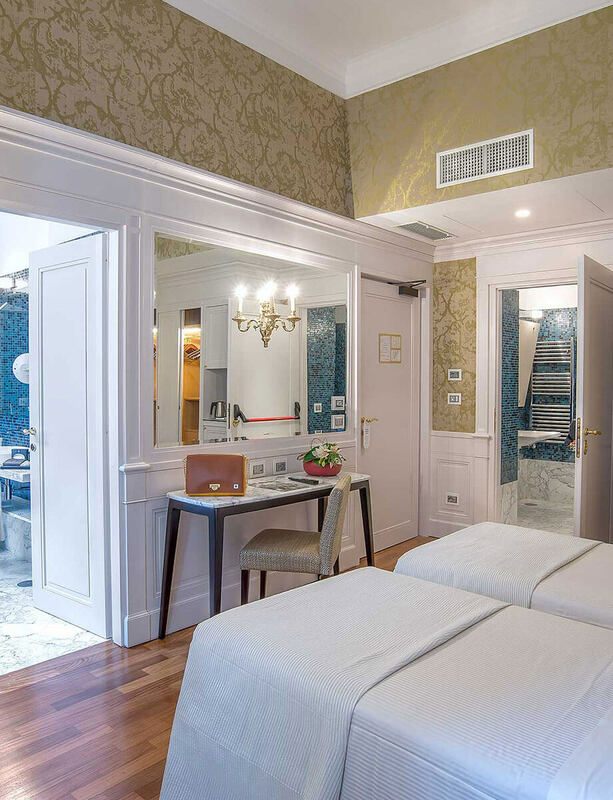 Refined décor with separate sleeping and living area with writing table and chair, satellite television, free high speed wireless Internet connection, climate control, mini bar, tea and coffee facilities and electronic safe. No Pantheon view. 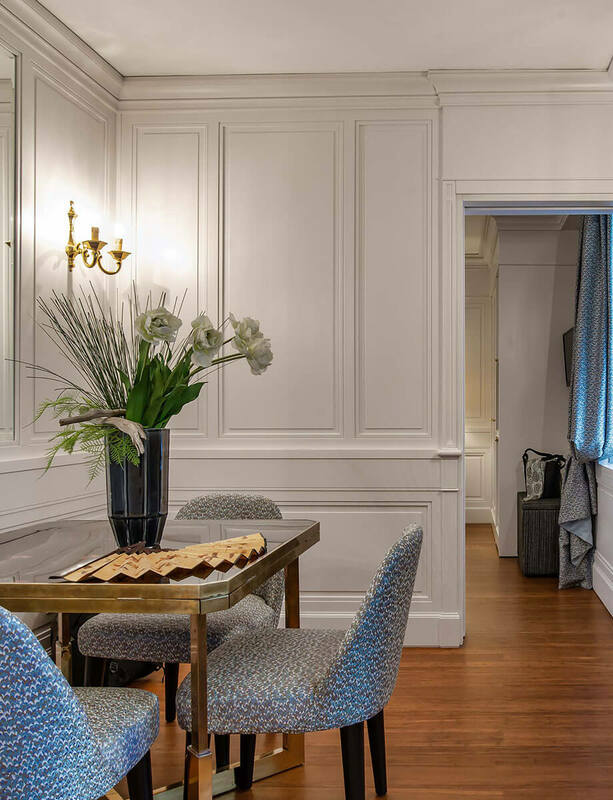 The Senior Suite is one of our largest room, located on the 4th floor and has separate sleeping and living area with a hallway between where you find the bathroom as well as a walk-in closet. Stylishly furnished with writing table and chair, satellite television, free high speed wireless Internet connection, climate control, mini bar, tea and coffee facilities and electronic safe. The bedroom has an amazing Pantheon view. 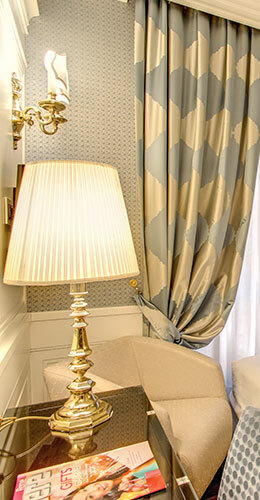 Our Junior Suite is unique, located on the first floor, and has a separate sleeping and living area. The bed room can be set up with a double bed as well as two single beds and in the living area there is a pull up sofa bed. Stylishly furnished with writing table with chair, satellite television, free high speed wireless Internet connection, climate control, mini bar, tea and coffee facilities and electronic safe. The bedroom has an amazing Pantheon view. 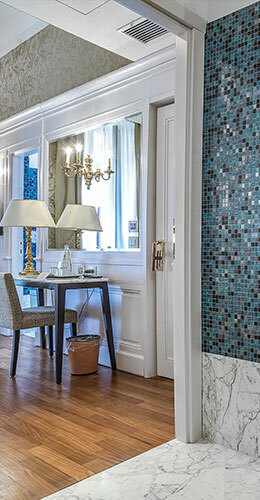 The Apartment Junior Suite is located on the fifth floor. 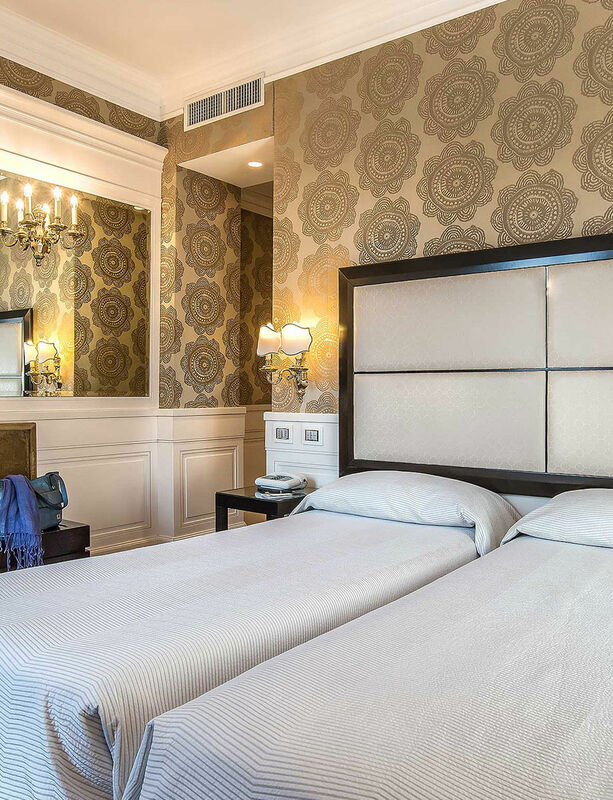 It consists of a main bedroom which can be set up with two single beds or with one double bed, one bathroom and a living area with two comfortable single sofa beds. 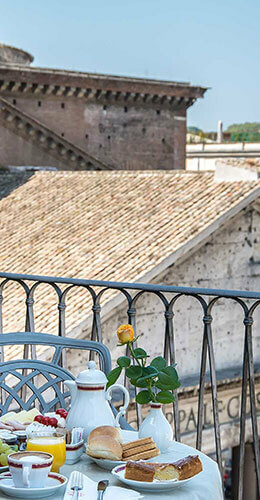 Between the bedroom and the living area there is a small hallway with a table and chairs where you find also the access to the balcony overlooking the “Roman Roof Tops”. Comfortable spacious accommodation for families or party of up to four adults equipped with writing table and chair, satellite television, free high speed wireless Internet connection, climate control, mini bar, tea and coffee facilities and electronic safe. 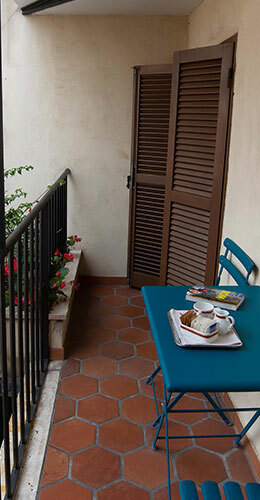 The Mini Apartment is located in a quite position on the ground floor and offers a particular accommodation option to suite many needs. 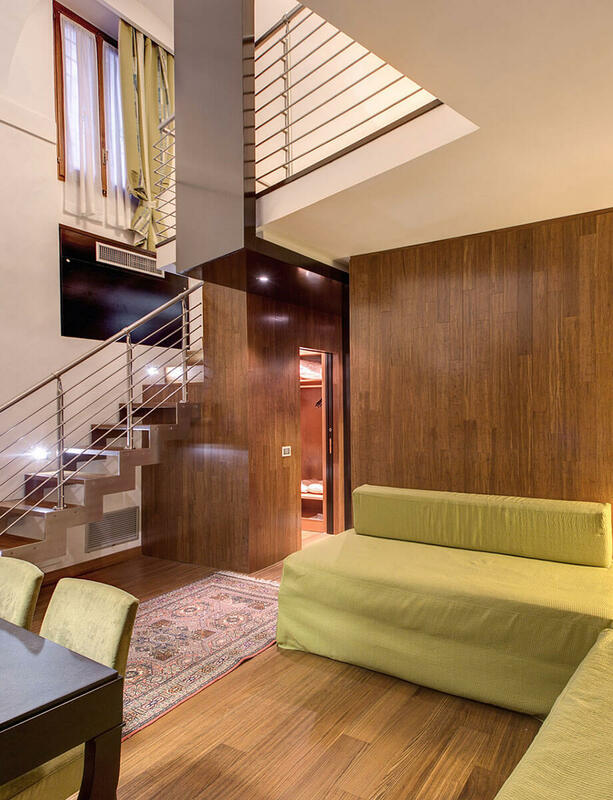 An open space made up of two rooms on two levels connected with wooden stairs that can sleep up to four adults, handy for longer stays or families. Modern furnished with writing table and chair, satellite television, free high speed wireless Internet connection, climate control, mini bar, tea and coffee facilities and electronic safe. No Pantheon view. 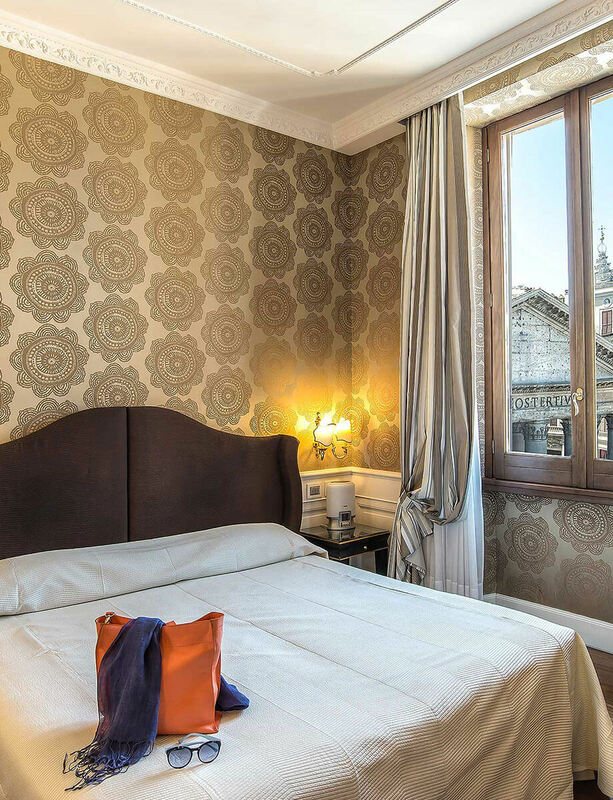 Superior Single rooms in Albergo del Senato have a French size bed and are located one on the 2nd and one on the 3rd floor with an breathtaking Pantheon view, both have a large bathroom with bath tube. 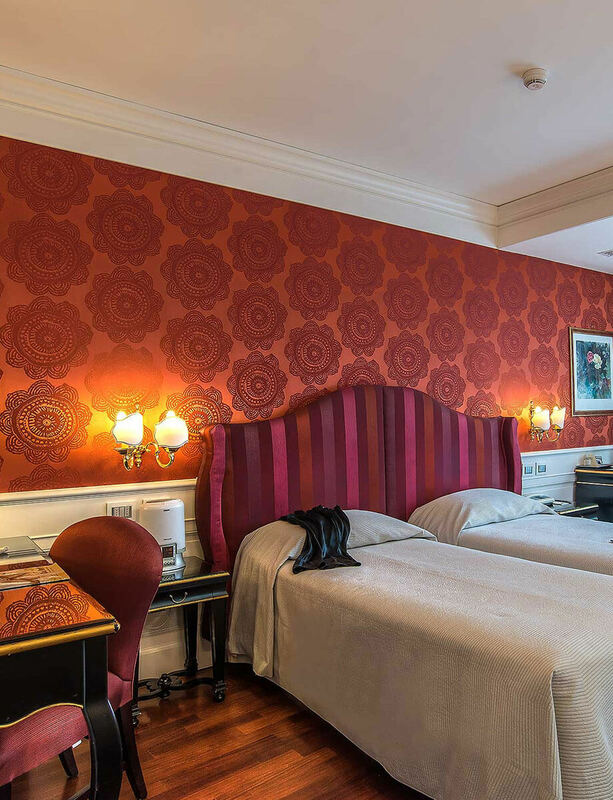 They are stylishly furnished with different décors and equipped with writing table with chair, satellite television, free high speed wireless Internet connection, climate control, mini bar, tea and coffee facilities and electronic safe. 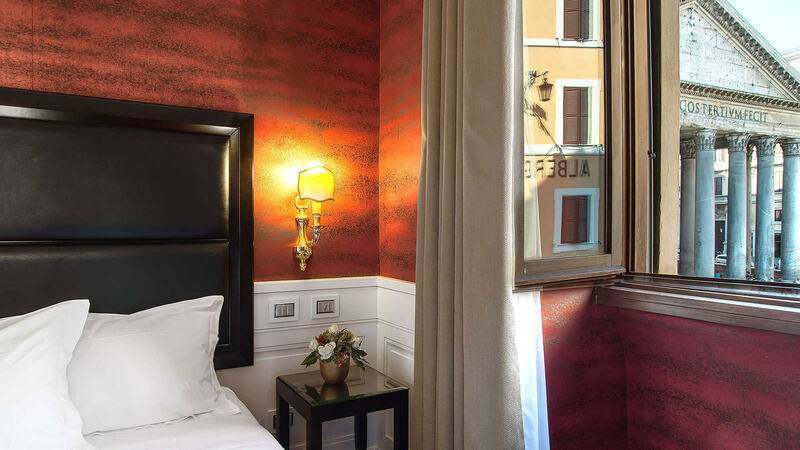 Single Standard rooms in Albergo del Senato are located one on the 2nd and one on the 3rd floor, both have a large bathroom with shower box. 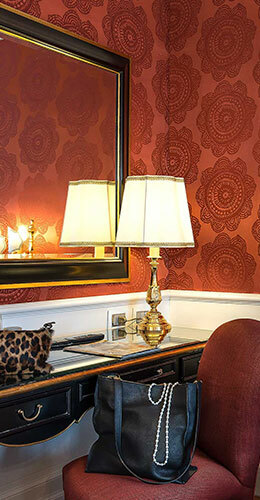 They are stylishly furnished with different décors and equipped with writing table and chair, satellite television, free high speed wireless Internet connection, climate control, mini bar, tea and coffee facilities and electronic safe. No Pantheon view.